So I initially proposed this in 2016, right around when Rogue One came out, but I had too few resources to draw upon at the time. 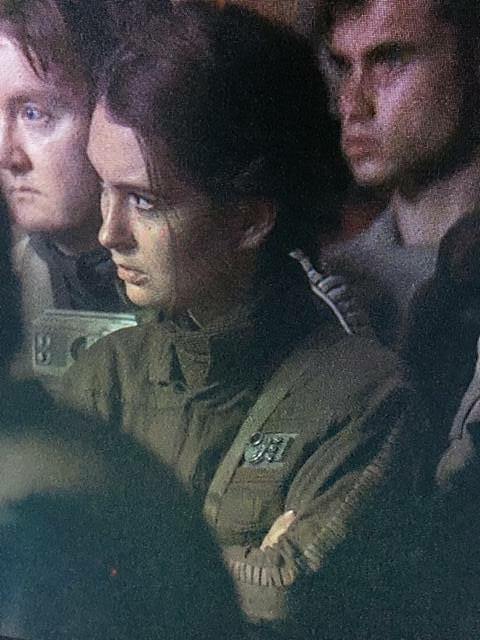 Since then though, I've had time to look through all the images I could find or snag from the movie itself, and after looking through it all, it seems that there is indeed a standard uniform among the Rebellion Intelligence and Trooper divisions, with rank badges and minor color differences between them. 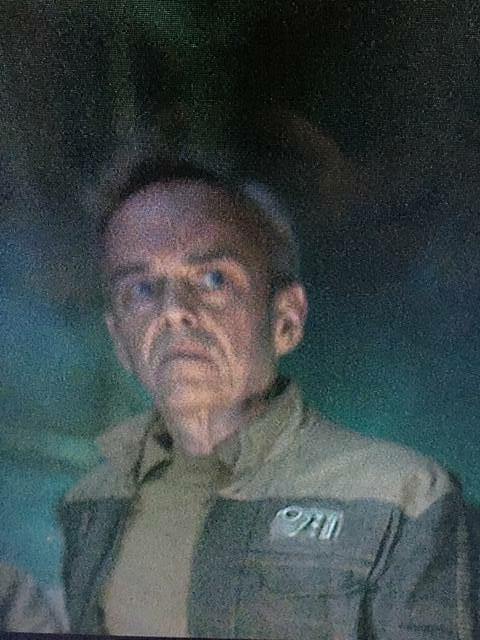 These features are common among the officers and operatives gathered at Yavin Base, as well as being part of the uniform worn by the Rebel Troopers on Scarif, beneath their flak vests. Further proof is in the fact that Cassian wears this exact same uniform throughout the film (as you'll see in the pics, the details all match), possesses a flak vest, and uses the same weaponry and equipment seen among the troopers at Scarif. 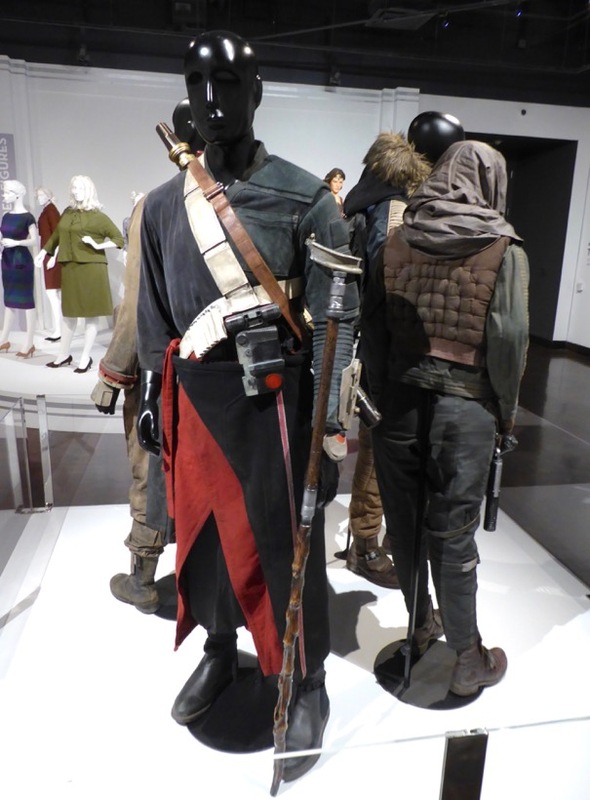 Essentially, this set of standards would be the same base costume used by Cassian Andor, and Weems, and other, unnamed officers seen around Yavin IV, albeit with rank badges and individual detailing that varies from person-to-person, such as color schemes and accessories. As it has been brought to my attention that other, unspecified types of troopers (ranked or otherwise) also wear this type of uniform, and I have to agree that it seems the uniform's use is wider. Therefor, I thought it would be better to widen the range of this proposed uniform, and allow the person doing the costume to determine what division their character works in, as long as it falls within "Army" fields. So, I have changed the title to "Generic Operations Officer" to branch out from strictly the Intelligence division. As such, I've altered the standards a bit to reflect this change. Should be Coyote Brown, Medium Brown or Olive Brown in color. Sleeves have "blood stripe" detail from shoulder to cuff in colors alternate to the jacket color (if jacket is lighter brown, stripes must be darker brown and vice-versa). The jacket has a mandarin collar, left and right breast pockets, with a flap on the left-hand pocket only (pocket should have no visible securing snaps or buttons). Rebel rank badge worn on the right side of jacket, just above breast pocket, with accurate circle colors to reflect rank of the costumer's choice (below General). 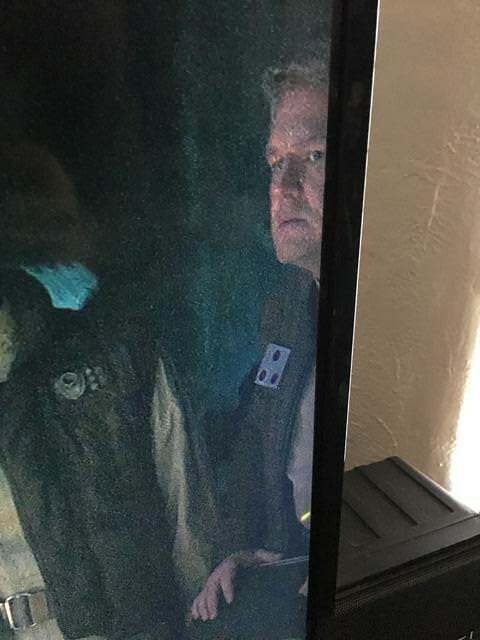 Screen-accurate compad inset above the left breast pocket. Tan/Beige coloring, with rectangular bib. Outer flap either fastened straight across, or folded diagonally across the chest. No visible means of closure such as buttons or snaps. Khaki/Coyote Brown colored utility trousers with elastic cuffs at the ankles. Cargo-style pockets along the outside of each leg, with top flap, and no visible closure buttons or snaps. No back pockets. Pant ankles should be worn tucked into boots/boot toppers. Olive/Khaki/Coyote Brown colored web belt with roll-pin buckle. Dark brown or black leather/leather-like lace-up combat boots. Matching flaps or boot toppers to completely cover laces. One horizontal strap across the lace flap/boot topper where the foot meets the ankle. No visible zippers, but discrete inside zippers are permitted. No buckles on boots, flaps or toppers. Dark brown or black leather/leather-like belt, with matching holster. Belt should have 8 silver, screen-accurate "energy pellets" attached through loops of leather on the left hip. Holster is attached on the right side, and has a thigh strap with snap, buckle or hidden velcro. 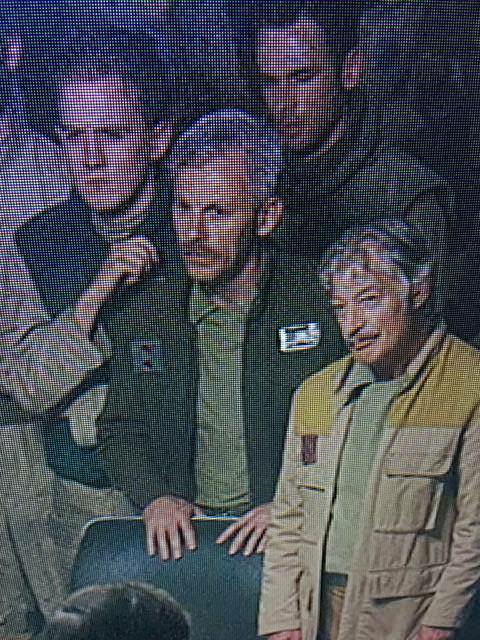 Any era-appropriate blaster pistol used by uniformed Alliance personnel will be accepted as long as a reference is provided to establish precedence. 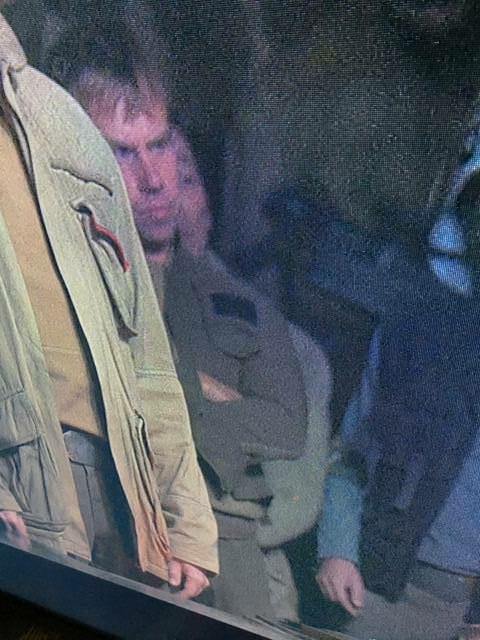 Screen-accurate vest type (should be same style worn by Cassian Andor, or Rebel Marines on Scarif). Navy Blue in color. Weathered yellow square painted onto upper right-hand corner of vest, with horizontal strap stitched onto vest just below it. Left and right breast pockets, with pocket flaps. Closure flap stitched to center of the chest, on right side of vest. Accurate chest, midsection and side fastening straps. Straps should be coyote brown/khaki in color. Rank badge/patch attached to left breast, just above pocket (in place of comm pad on trooper vests). 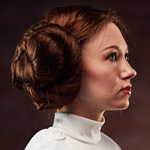 If Officer chooses not to carry a blaster, they cannot wear a Flak Vest, as it is strictly a "combat accessory", and thus would not be worn while unarmed. BlasTech A180 and A280 pistols may only be carried by officers in the Intelligence Division, as this blaster has not been seen to be carried by those outside said division. If an Officer is in Intelligence, they also have the option of carrying their A180/A280 in assault, or sniper rifle configurations, but if they carry the rifle configuration, they may not simultaneously carry a pistol, as it is supposed to be the same weapon, not an additional one. Rank of the Generic Operations Officer cannot be "General" or above, as they would have different articles of clothing representative of the higher rank (alternate color schemes for jacket, or different jacket entirely, etc) and thus are not standard to this particular class of officer. Rank badge must reflect this rule. Pants cannot be "Scarif Marine" style with reinforced knees and additional padding, they must be slimmer-style utility trousers with cargo pockets. 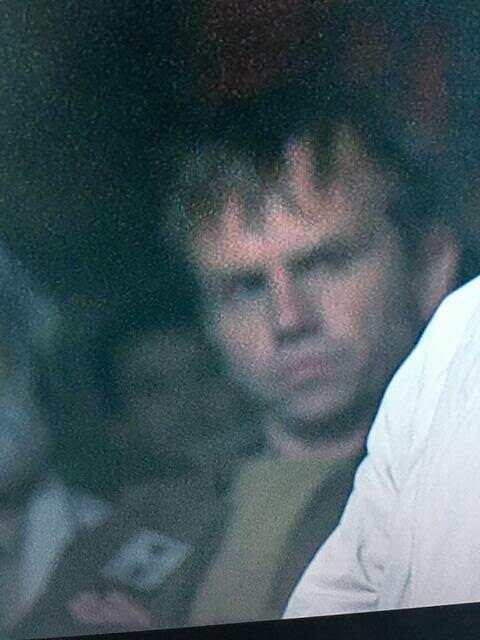 It contains the entire discussion, as well as additional reference images supplied by others. All good points and very interesting. How do others feel about this? Please chime in. 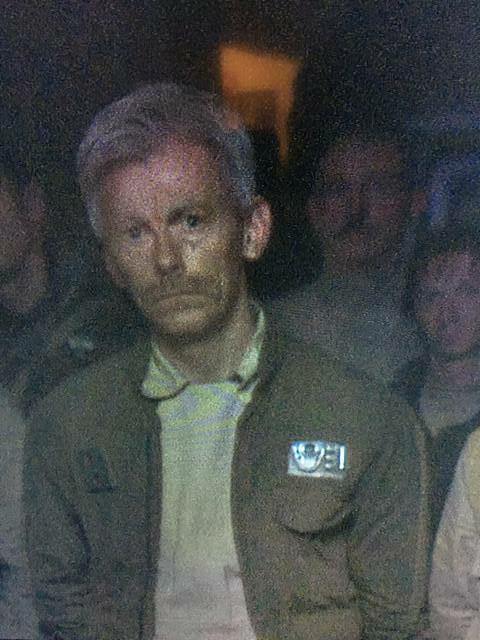 The problem we have is that we don't have a full body shot of these intelligence officers wearing the bloodstripe jacket. For one, we're not exactly sure of the pants. 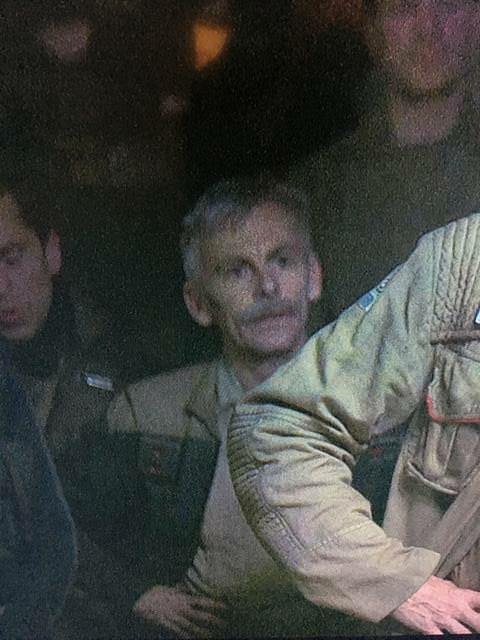 We have conjecture that it would be the same as the comms officer (Tenzigo Weems) or the Rebel Marines, or even High Command, but Cassian has a different pocket configuration than all those. Which would we choose without photo reference? Same thing for the boots. Cassian has the ski latch whereas pretty much every other Rogue One Rebel has a simpler ankle cuff. Right now we have to make assumptions and use other costumes to fill in the blanks. Which ones we use would affect the standard. Weems is one reference we can go by for specific details on those BDU's, and Sefla is also an officer, and he wears basically the same reinforced BDU's all the other Marines wear, so the consistency there means that the uniform is the same across the board, differentiated by the rank. 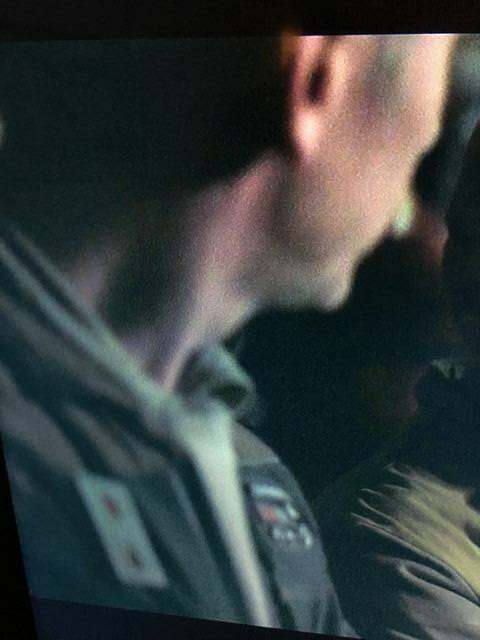 Therefor, we can use Weems and Sefla as confirmation references linking the details to the other marines and officers we can see clearly throughout the rest of the movie. This gives us the option for the proposed Intelligence Officers to wear the standard BDU trousers seen on Weems and a few others, OR the BDU's with reinforced knees that Cassian's Marines wear. 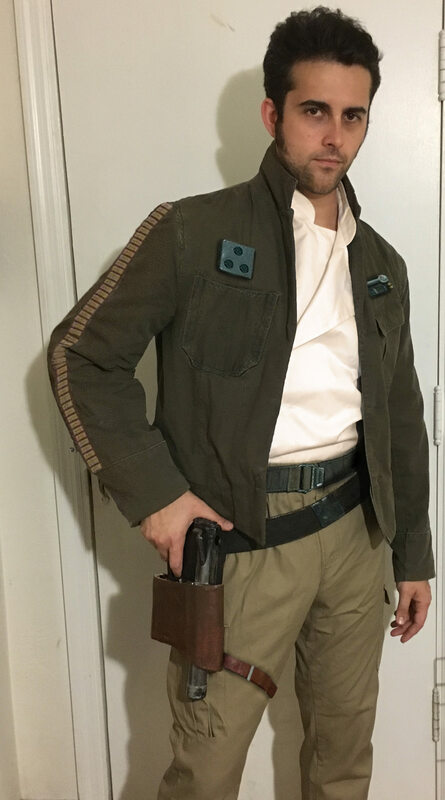 In the interest of making sure that we can distinguish between Cassian and generic officers, it would be best to state within the standards that the NON Cassian pants/boots designs you mentioned would be required, that way people can't just use unfinished Cassian costumes to get an Intelligence Officer approval. We can specifically make mention of this restriction in the costume notes for the standards to alleviate potential confusion. 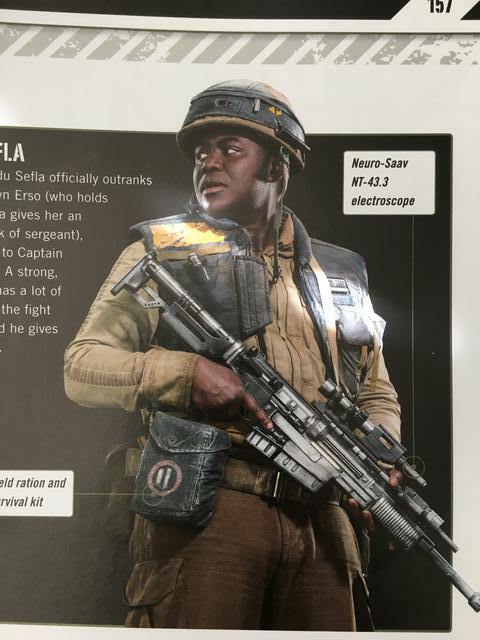 The standards as they are could be very similar to the Scarif Marines, just with rank difference, different options for accessories, and limitations on weapons that can be carried. * No buckles on her boots. 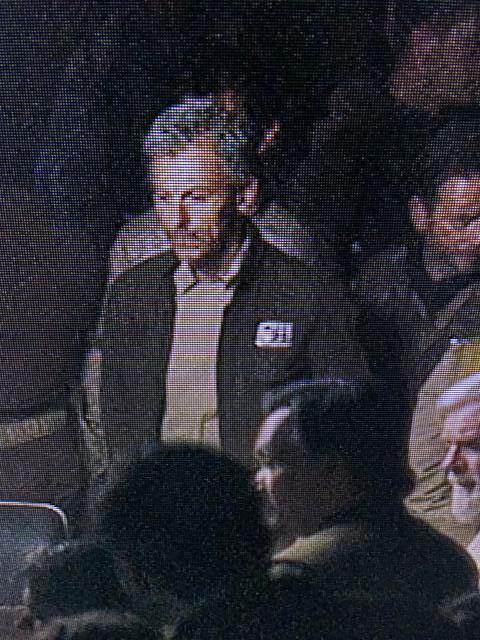 Likely the same cuffed boots as the Rebel Marines and Comms officers. I do not believe they are jackboots. * Pants: Hard to tell details like knee padding or cargo pocket configuration. But we do have color. Awesome, thank you for that, it definitely helps! 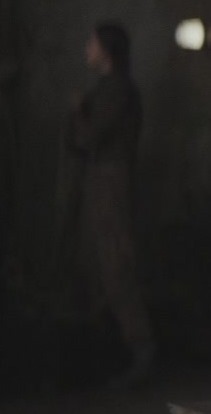 The first thread I did about this in the RAID forum (link above) someone posted a full body shot of Sefla without his flak vest on, and we can see his belt, pants and jacket clearly in it. I'd repost it here but I'm not at home at the moment. I would absolutely love this to go all the way to establishing standards. Glyn Dillion did such phenomenal work and there are so many interesting variants to take. 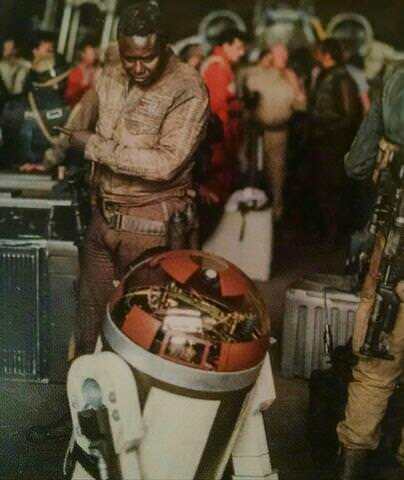 Would we have variants on the back as seen in the film? vs Cassian's jacket, and the others, with the belt buckles and adjustor on both sides. 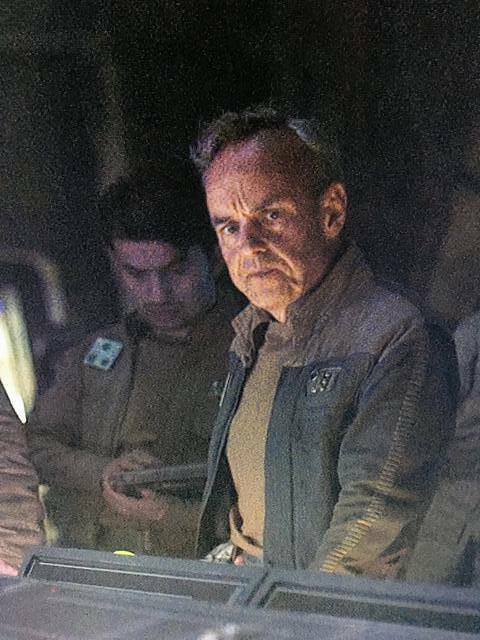 Would we simply indicate that an olive jacket would be styled as Jyn's and a brown variant styled as his? 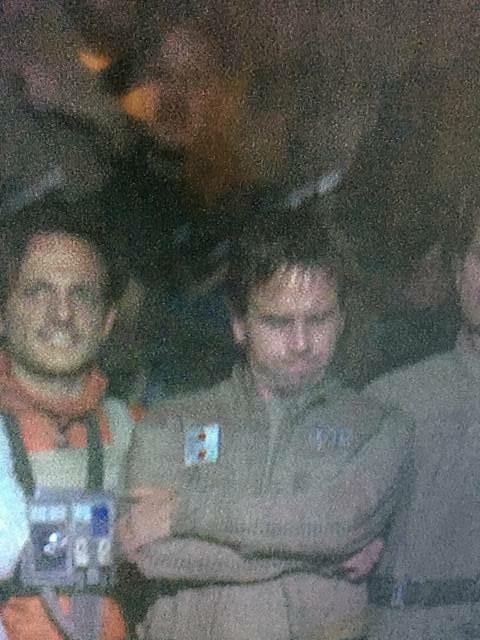 I think that because Jyn is the only one wearing that particular jacket type, she would be the only character allowed to have it. 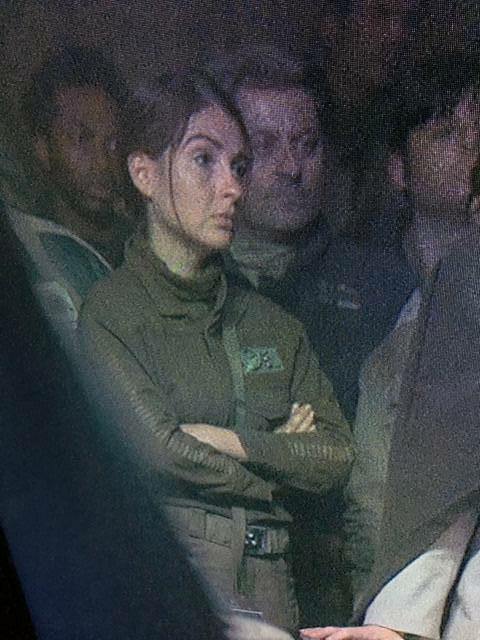 There are women Intelligence Officers wearing the "Cassian cut" jacket in the Yavin IV scenes, so that would likely be the standard. Honestly though, none of the higher ups have shown an interest in taking this further, so I'm not really even sure what to do at this point, and it's likely to be shot down if I try to submit it. If anyone else has any ideas I'd love to hear them. This is a fantastic idea and I’m all for it! Thank you for doing so much work on gathering references. I’m wondering if concept art books can also be used to support this in some way? That would be great, I think. Have you spotted these officers in one? 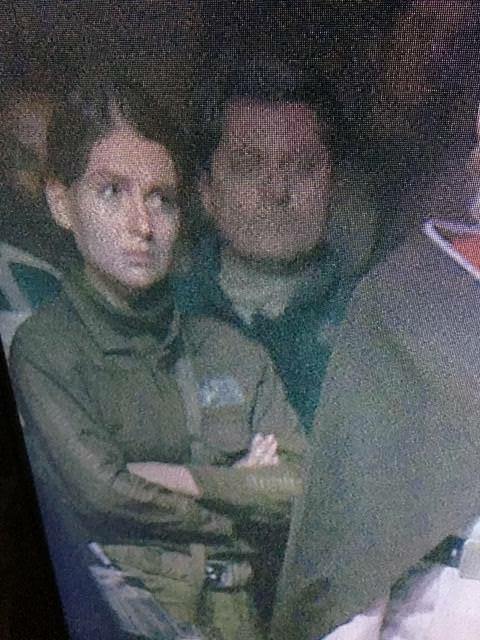 No, I believe the variations between Jyn's jacket at Cassian's is a difference in fit for males and females. Hers has no waistband adjustment, but darts on the front. I don't see enough detail between the other characters to confirm or deny that any of the women have the buckle, but the jacket darting makes sense for a female fit jacket. I am 100% content with this adjustment and making a new jacket. I'd be absolutely thrilled to see this uniform added to the "Pantheon" of approved costumes. Given the varying rank pip colors (Blue, red, and now green: with their associations and semi-official status), and coupled with the array of personnel/duties that we see this outfit associated with (everything from Staff, to Comms, to Field/Infantry) I'm not sure there is reason to establish this costume as a uniquely "Intelligence Officer" type. Moreover, there are several characters wearing it without any rank badge at all (again, attached to a variety of duties), and I doubt it's too big a leap to assume these characters to be NCO's of various types. I suggest the proposal wording be altered to reflect a more service(s)-wide use of this uniform, and possibly an Officer/NCO use-approval as well.